BORACAY ISLAND TO UNDERGO 6 MONTHS REHABILITATION FROM 26TH OF APRIL 2018! UK GROWS AS TOP SOURCE MARKET IN EUROPE TO THE PHILIPPINES! The first month of 2018 showed a significant growth on tourist arrivals to the Philippines setting an all-time high record for the month of January. The government set a target of 7.5 million visitors for this year which is a 13.5% increase from last year’s 6.62 million visitors. The Philippines Department of Tourism (PDoT) showed tourist arrivals hit 732,506 in January, an increase of 15.97 percent from the same month last year. China and Korea remains to be the top 2 visitors in the country. The Chinese visitors grew by 29.55 percent January 2017 while the Korean arrivals recorded a 28.36 percent increase from the same period last year. In Europe, United Kingdom posted a 15.01 percent increase from January last year retaining its number status as the top source market from this continent. 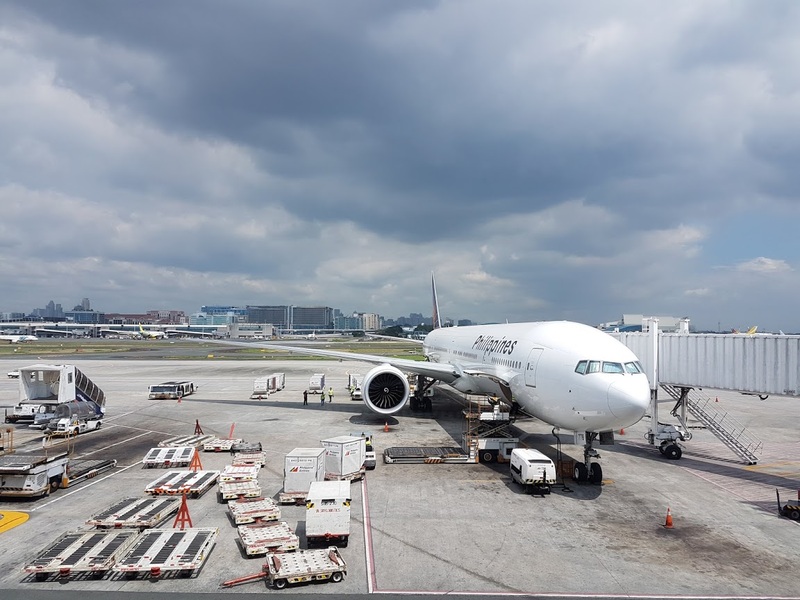 The tourism growth may be attributed to the improved air connectivity through increased flights in major Philippine airports by various carriers. Philippine Airlines also increased capacity to and from London and Manila when they launched their Boeing 777 last year. A strengthened partnership with UK Tour Operators also made a dent and the marketing and advertising platforms added to the awareness of Philippine products. 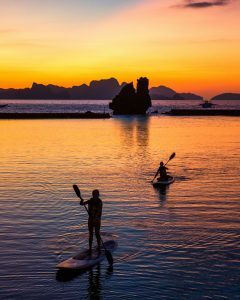 More Britons have been recorded travelling to new destinations in the country like Siargao, famous for Surfing, and Caramon Islands which is heavy on backpacking adventures and beautiful unspoilt beaches. The Philippine Department of Tourism (PDOT) warmly receives Forbes.com‘s citation of the Philippines as one of the hottest spots in Asia this year. The article entitled “The 5 Spots In Asia That Are Booming With Tourists In 2018”, underscored the country’s improved connectivity and infrastructure as the factors for the increased tourism interest. Forbes.com aligned the Philippines with the continent’s must visit destinations like Japan, Malaysia, Indonesia, and South Korea. “To be lined-up with the region’s tourism powerhouse is a testament to the resiliency of the people and the country’s resolve to promote the Philippines as a safe and fun destination,” said Tourism Secretary Wanda Tulfo-Teo. Several international gateways have experienced renovations last year with plans to develop more regional airports like the Iloilo International Airport, Bacolod-Silay Airport, Laguindingan Airport in Misamis Oriental, and New Bohol International Airport in Panglao. Improved air connectivity and opening of new flights are expected with the country’s hosting of Routes Asia 2019, the only route development event dedicated to the Asia Pacific region, in Cebu next year. 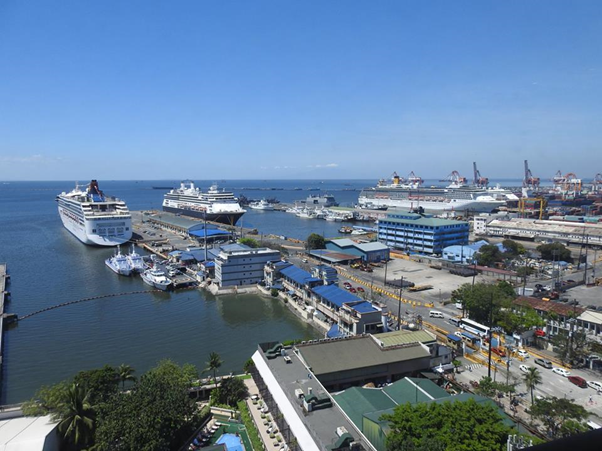 Not to be outdone, the country’s sea connectivity will receive a significant boost in the succeeding years with new major cruise lines including the Norwegian Cruise Lines, Windstar Cruises arriving in the Philippines shores for the first time. Several cruise ships will also be returning and some even increasing port calls including MSC Cruises, Royal Caribbean Cruise Lines’ Ovation of the Seas, Silversea Cruises’ Silver Whisper and Silver Shadow, and Crystal Cruises. According to the latest tourism statistics, the country welcomed a total of 1,406,337 international visitors for January-February, which is 16.15 percent higher compared to the 1,210,817 total for the same period in 2017. Philippine tourism even bested the average tourism growth of Asia and the Pacific which is at six percent and Southeast Asia at eight percent according to the latest United Nations World Tourism Organization (UNWTO) World Tourism Barometer. 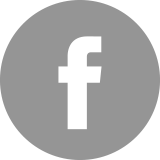 Forbes.com is part of Forbes Digital, a division of the American business magazine Forbes famous for its lists and rankings. 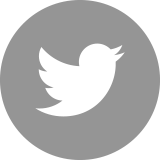 The website attracts 59 million unique visitors each month with 30 million social media followers. 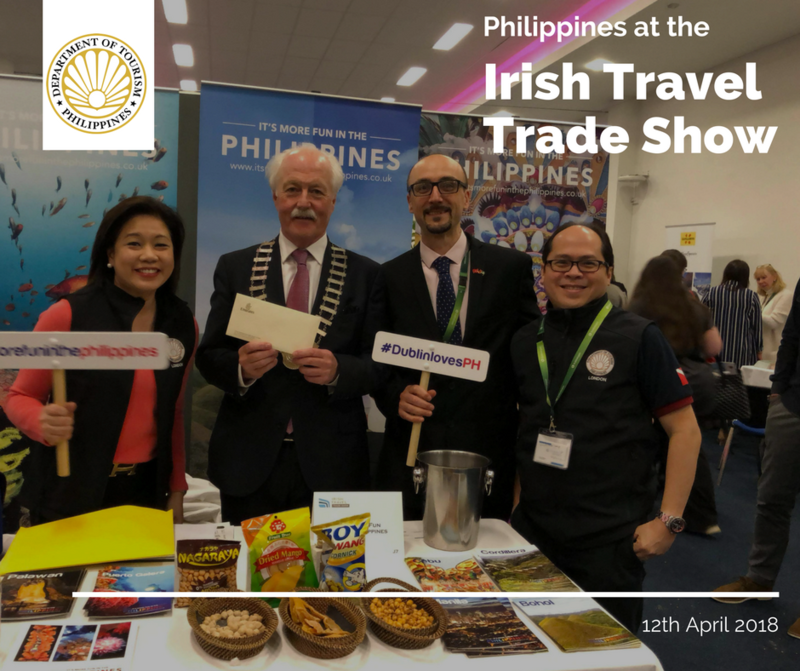 PHILIPPINES AT THE IRISH TRAVEL TRADE SHOW ON 12 APRIL 2018! The Philippines Department of Tourism (PDOT) London attended the biggest Irish Travel Trade Show last 12 April in Dublin. Travel agents and tour operators flocked to the Philippines’ area to know the latest travel updates and products about the country. PDOT also had a competition onsite giving away a holiday to the Philippines which included two return International Tickets from Dublin with Emirates and complimentary stays at Shangri-la Mactan (Cebu), Bohol Beach Club and Shangri-la Makati. President Rodrigo Duterte approved today the 6 months closure of Boracay to allow a comprehensive rehabilitation program starting April 26, 2018. The island will be closed to local and international tourist during this time. 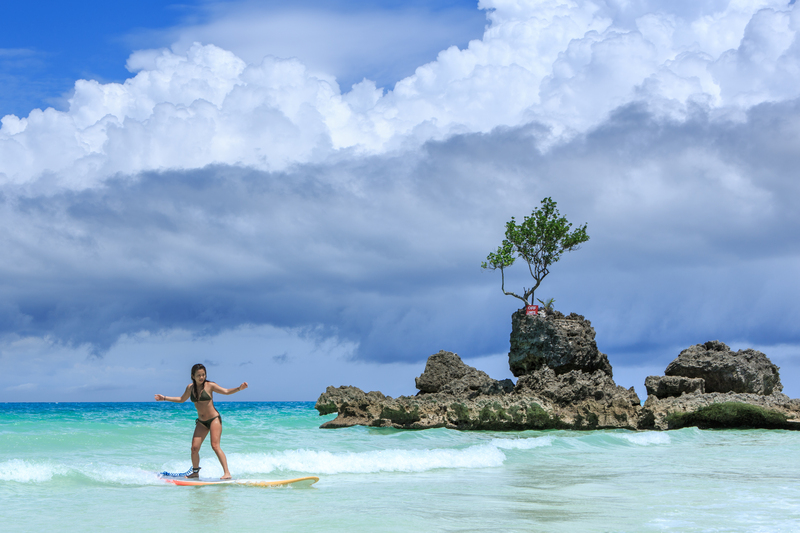 If you have pre booked holiday in Boracay during this period, please contact your tour provider, hotel or agent. 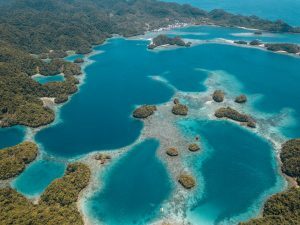 The Philippines is composed of more than 7000 islands and while there are many islands already popular amongst regular travellers, like Cebu, Bohol, Palawan, etc., more islands are being discovered by travellers and slowly gaining recognition as stunning photos make their way through social media generating curiosity. When the Philippines Department of Tourism (PDOT) launched “It’s more fun in the Philippines” campaign 6 years ago, the Filipino people joined the bandwagon and created fun memes that spread the campaign like wildfire on the net. Almost everyone was excited to showcase the beauty of their own locality in the country and tagged why #itsmorefuninthephilippines, therefore, parading the beauty of the country that were not known before. Since then, there are many other islands that came on the radar of avid travellers and laid-back wanderers which resulted to tourism growth in these places. These islands previously known only to the locals, have now welcomed International travellers so they, too, can enjoy these beautiful places! Now, with increased connectivity and domestic airlines opening up more destinations, travelling around the Philippines has never been easier. Here are 5 new and exciting destinations in the Philippines for you to explore this 2018. Siargao, Surigao del Norte – This island or group of islands is also known as the surfing capital of the Philippines, more commonly known as Cloud 9. Several International competitions are now being held here, but the island remains to be humble with small to medium resorts ready to accommodate the growing number of guests. Apart from surfing, one can enjoy swimming in cave pools, island hopping, cliff jumping, shower beneath waterfalls, enjoy fresh coconut juice while lying on pristine white sand beaches and many more. Simple island life as its best! Caramoan, Camarines Sur – This little gem can be reached by a short 1hour flight from Manila to Naga then a 3-4 hour land trip to the tip of Camarines Sur. You may also drive from Manila which will take you 12 hours or Bus will take longer due to stops. However, there are many beauty spots along the way that will make your trip even more exciting. 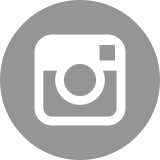 For those looking for unspoilt beaches with crystal clear waters, hidden coves, rock climbing, caving and those perfect Instagram photos, this is the place to visit! Iloilo province – If you like to combine cultural immersion, history, delectable food and stunning beaches, you shouldn’t miss this province. When in Iloilo you have to try their famous la paz batchoy, rich butterscotch mini cakes, lechon, pancit molo (soup) and home grown mangoes. There are many ancestral homes and churches (included in Unesco World Heritage list) to explore. 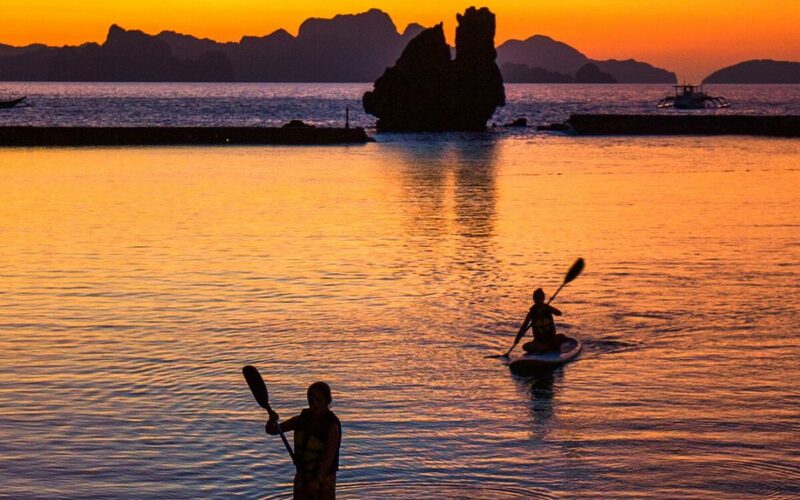 Many beautiful beaches can be found along its coastline but Islas de Gigantes should definitely be part of that list! Negros Island – This island is the fourth largest island in the country and is also known as the sugarcane capital of the Philippines. Thus, you will find the most irresistible desserts here and it’s also the birthplace of the world renown Don Papa Rum. Not far from the capital, Bacolod, travellers can venture to Sipalay and Danjugan island. This is paradise for avid and recreational divers as the areas are protected marine sanctuaries. Vigan, Laoag and Pagudpud – Located in Northern Philippines, Vigan is another Unesco World Heritage Site for being one of the most preserved towns in the country. Walking in the streets of Calle Crisologo is like walking back in time during the Spanish colonial rule. Just an hour and a half away is Laoag, where the airport is located, where the landscape dramatically changes with sand dunes and wind mills provide an amazing backdrop when swimming by the beach. Further up north is Pagudpud, another surfing haven with activities like caving, chasing waterfalls and the longest zipline over water in the Philippines! MANILA, Philippines — Foreign companies have expressed interest to modernize and provide airport management services to the Cagayan North International Airport (CNIA), Cagayan Economic Zone Authority administrator Raul Lambino said. In a statement, Lambino said two major Malaysian companies have proposed to provide airport management services needed to operate the CNIA efficiently a few weeks before the airport is scheduled to receive its first overseas commercial aircraft from Macau. Lambino said CEZA has inked a memorandum of understanding with the two firms, Iris Corp. Bhd and Positive Paragon Sendirian Bhd, to undertake the project. “The two companies would set up the front-end hardware and equipment, install software as well as work stations and passport and travel card readers and set up, install and commission e-gates, among other things,” he said. Meanwhile, Lambino said a consortium of local and foreign firms has also submitted an unsolicited proposal for the development of CNIA into a state of the art logistics aviation hub and a one-stop aviation center. The consortium is composed of the Subic Bay Business Aviation Center, US-based National Standard Finance and Bangkok-based Mahanakon Partners Group. Co. Ltd.
“This proposed high-tech airport facility will be the first of its kind in the country and will comprise of interdependent projects using state of the art aerospace technology,” Lambino said. According to Lambino, the CNIA in Lal-lo town in northern Cagayan has already cleared all hurdles required for its acquisition of a full aerodrome certificate from the Civil Aviation Authority of the Philippines to begin operating commercial flights for the heavier A320 and B-737 aircraft. Following the inaugural flight from Macau, Lambino said Cebu Pacific is expected to also launch its Manila-Lal-lo service shortly. Located directly across the Ninoy Aquino International Airport (NAIA) Terminal 3, Belmont Hotel Manila at Resorts World Manila (RWM) offers unparalleled convenience for both leisure and business travelers. Belmont Hotel’s 480 elegantly cozy rooms are equipped with basic luxuries for optimum comfort and security. Café Belmont, the hotel’s all day dining restaurant, serves up classic international cuisine, along with authentic Filipino specialties. 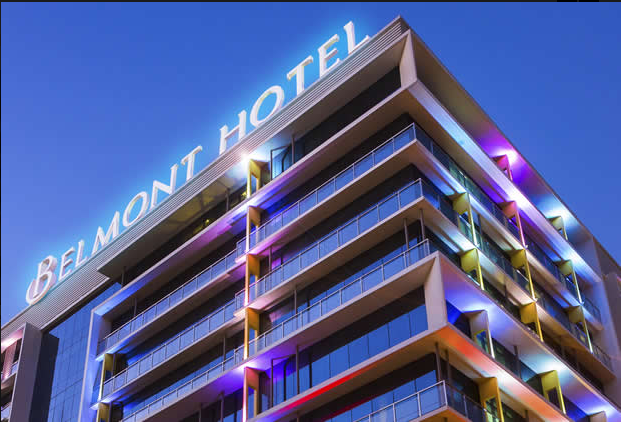 As part of RWM’s diverse hotel portfolio, which includes global brands, Belmont Hotel guests are assured of world-class service, and signature Filipino hospitality. Although primarily designed as a business travelers’ hotel, Belmont’s amenities provide guests with hearty leisure options. The rooftop pool and cocktail bar gives guests commanding views of the international airport and the surrounding metropolis. The fully-equipped fitness center comes with saunas and steam rooms within the shower areas. Work essentials are also available, with the Belmont Hotel business center, meeting rooms, and a function room that can accommodate a 100-person conference. The hotel also provides comprehensive services such as taxi and limousine arrangements, VIP airport assistance, laundry, valet and shoe-shine. “Given Manila’s position as the main transit and trading hub for both local and foreign guests, we are in a uniquely advantageous position to provide comfortable, reasonably-priced accommodations to suit their essential travel needs,” says Lorenzo Tang, Belmont Hotel General Manager. Runway Manila, an elevated footbridge connecting NAIA Terminal 3 with Newport City where RWM is located, gives Belmont Hotel guests the ability to avoid Metro Manila traffic altogether when going to and from this airport terminal. RWM also provides all hotel guests with free shuttle services to all Metro Manila airport terminals. Conveniently situated within the RWM complex, Belmont Hotel guests get easy access to the many thrills at the Philippines’ premiere integrated entertainment and tourism destination. With Newport Mall just a short walk or shuttle ride away, guests can easily reach dozens of dining, shopping, and entertainment choices, including the multi-awarded Newport Performing Arts Theater which is home to topnotch live entertainment shows. Visit www.belmonthotelmanila.com for online bookings and for more information on Belmont Hotel Manila’s amenities and special promotions. AGTC 2018 teed off with a press conference at the Marriott Manila Ballroom, with (left to right) Peter Walton, CEO of International Association of Golf Tour Operators; Stephen Reilly, COO of Resorts World Manila; Cesar Montano, COO of Tourism Promotions Board of the Philippines; Jose Perez De Tagle, vice-president of Corporate Communications for Philippine Airlines; and Connie Mamaril, president of the Association for Inbound Golf Tourism Philippines. 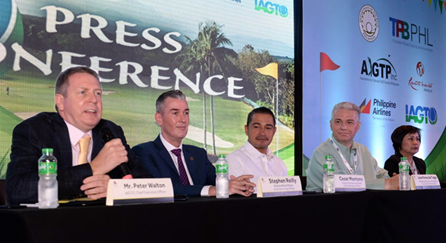 THE Asia Golf Tourism Convention (AGTC) takes place in a different golf destination each year with the 7th annual AGTC being staged in the Philippines, with the main Convention taking place at Resorts World from April 22-25. Previous AGTC host destinations have been: Kuala Lumpur, Malaysia (2012), Pattaya, Thailand (2013), Mission Hills Haikou, Hainan Island, China (2014), Jakarta, Indonesia (2015), Chiang Mai, Thailand (2016), Danang, Vietnam (2017). AGTC is established as the most important golf tourism event in the Asia Pacific region. AGTC brings together international golf tour operators from around the world, all selling golf vacations to Asia, to meet with golf tourism suppliers (golf resorts, hotels, golf courses, inbound tour operators and tourist boards) from Asia, the Pacific, Indian Ocean and Gulf States. AGTC is also designed to showcase the host destination to the participating golf tour operators, in order to generate sustainable growth in golf travel to the host destination of this high revenue, low impact tourism sector. Established in 1997, IAGTO (International Association of Golf Tour Operators) is the global trade organization of the golf tourism industry, and has over 2653 member companies in 98 countries including 685 golf tour operator members in 64 countries, which control more than 87% of golf vacation packages sold worldwide and which collectively have annual sales of more than $2.5 billion. AGTC 2018 has attracted over 560 participants including 200+ golf tour operators from 33 countries. A record number of golf tour operators (over 160) participated in golf familiarization tours before and after the Convention, experiencing first-hand what the Philippines has to offer the international golf traveler.